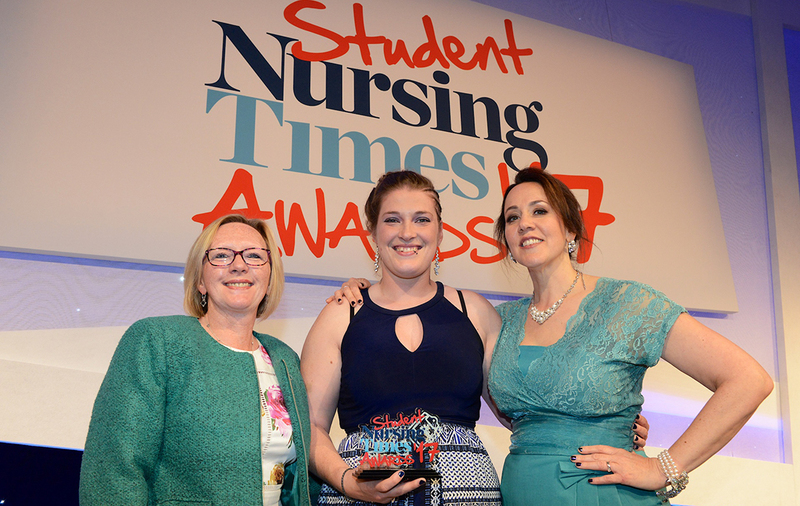 Middlesex University student Orla Hillary was awarded Outstanding Contribution to Student Affairs at the Student Nursing Times Awards 2017 on 27 April at the London Hilton. The annual ceremony recognises students from across the UK who have demonstrated the academic achievement, clinical skills and personal qualities that will make them brilliant nurses in the future. It also honours those who are committed to developing new nursing talent as mentors, lecturers and providers of placements. Orla, Middlesex University Students’ Union Vice President of Health and Education, helps to ensure students in the department get the most out of their time at Middlesex University. “I genuinely feel honoured and so proud to have won this award, and hopefully have given some of the nurses studying at Middlesex inspiration to enjoy their career and make the most out of their time at the University,” she says. Orla began her journey at Middlesex when she began studying BSc Nursing (Adult) in 2012. Two years later she was named Middlesex University Student of the Year 2014 and was elected to the National Union of Students (NUS) Society and Citizenship Zone Committee where she represents students on a national level.